Sentiment analysis (also known as opinion mining) refers to the use of natural language processing (NLP), text analysis and computational linguistics to identify and extract subjective information from the source materials. Generally speaking, sentiment analysis aims to determine the attitude of a writer or a speaker with respect to a specific topic or the overall contextual polarity of a document. Globally, business enterprises can leverage opinion polarity and sentiment topic recognition to gain deeper understanding of the drivers and the overall scope. Subsequently, these insights can advance competitive intelligence and improve customer service, thereby creating a better brand image and providing a competitive edge. Let’s begin by first understanding the adoption of sentiment analysis across industries. Here are some of the top industry verticals, where sentiment analysis is being widely utilized and yielding positive results. The e-commerce industry is benefitting greatly by utilizing sentiment analysis. Generally, on e-commerce portals, buyers often express their opinions in the form of comments (positive or negative) for the products they have purchased, making this a huge data trove for sentiment analysis. Correspondingly, analysis of such opinion-related data (comments) can provide deep-insights to the key stakeholders. A thorough sentiment analysis reveals deep-insights on the product, quality and performance. Additional insights that can be extracted using sentiment analysis include. Sentiment analysis is widely used across the financial domain for trading and investing. Notably, financial analysts and traders monitor/analyze social networks (i.e. utilizing StockTwits) to quickly identify the trending stocks and fluctuations in the stock markets, which enable them to react swiftly to any major changes in the stock market. In case of the aviation sector, sentiment analysis can help aviation companies detect sentiment polarity and sentiment topics by making use of data (text) and examining the reputation of airlines by computing their Airline Quality Rating (AQR). In this blog, we have considered use case of leading US airliners (Delta, JetBlue and United Airlines) to demonstrate the fundamentals of sentiment analysis. By and large, social media plays a significant role in sentiment analysis. Here is a comprehensive list of social media websites/platforms, which can be used for sentiment analysis to identify customer likes, dislikes, opinions, feedback, etc. In this blog, we have considered the twitter social media platform to find out how tweets from the twitter feed can be utilized to perform sentiment analysis. As mentioned earlier, we performed sentiment analysis on three leading airlines and R programming language has been extensively used to perform this analysis. The approach followed here is to count the positive and negative words in each tweet and assign a sentiment score. This way, we can ascertain how positive or negative a tweet is. Nevertheless, there are multiple ways to calculate such scores; here is one formula to perform such calculations. To find out the list of positive and negative words, an opinion lexicon (English language) can be utilized. TwitterR offers an easy way to extract tweets containing a given hashtag, word or term from a user’s account or public tweets. However, before loading twitterR library and using its functions, developers should create an app on dev.twitter.com and then run the following code, which is written in the R programming language. Run the following code in the R Studio to set authorization to extract tweets. access_token_secret <- "consumer access secret token"
Here is the code to load required libraries. Developers have to import files containing a dictionary of positive and negative words. Likewise, text files containing positive and negative sentiments can be imported using the below code. These files can be downloaded using the Google search engine. To demonstrate sentiment analysis, we analyzed tweets relating to Delta, JetBlue and United Airlines. In order to extract specific tweets relating to these airlines, developers should query twitter for tweets with the hashtag Delta, JetBlue and United. Step 1 – Convert the tweets to a text format. Step 2 – Calculate the number of tweets for each airline. The code below showcases how sentiment analysis is written and executed. However, before we proceed with sentiment analysis, a function needs to be defined that will calculate the sentiment score. Now, we can start processing the tweets to calculate the sentiment score. Step 1 – Create a variable in the data frame. Step 2 – Calculate positive, negative and neutral sentiments. Step 3 – Split the data frame into individual datasets for each airline. Step 4 – Create polarity variable for each data frame. After the above steps are executed, developers can go ahead and create insightful graphs. The steps below outline the process to create graphs. The bar graph above depicts polarity, if we closely analyze the graph; it reveals that out of 5,000 twitter users, 1,100 twitter users have commented in a negative way, 2,380 users are neutral. However, 1,520 users are pretty positive about the airline. The bar graph above depicts twitter user’s sentiment score, negative score denoted by the (-) symbol, which indicates unhappiness of users with the airline, whereas the positive score denotes that users are happy with the airline. While, zero represents that twitter users are neutral. The bar graph above represents polarity. In this case, out of the 5,000 twitter users, 550 users have commented negatively, 2,700 users remain neutral, whereas 1,750 users are positive about the airline. The bar graph above depicts twitter user’s sentiment score, negative score denoted by the (-) symbol, which indicates unhappiness with the airline, whereas the positive score denotes that users are quite happy. Whereas, zero here represents that users are neutral. The bar graph above represents polarity. In this case, out of the 5,000 twitter users, 1,350 users have commented negatively, whereas 2,200 users are neutral and remaining 1,450 users remain positive about the airline. The bar graph above depicts twitter user’s sentiment score, negative score denoted by the (-) symbol indicates unhappiness of users with the airline, whereas the positive score denotes that users are quite happy. While, zero represents that users are neutral about their opinion. To put it in another way, developers can create total count by adding positive, negative and neutral sum. Additionally, developers can calculate positive, negative and neutral percentages using the below code. The pie chart below represents positive percentage score of these airlines. The pie chart below represents negative percentage score of these three airlines. The pie chart below represents neutral percentage score of these three airlines. As can be seen, sentiment analysis enables enterprises to understand consumer sentiments in relation to specific products/services. Moreover, these insights could be used to improve their products and services by gauging consumers’ comments and feedback using sentiment analysis. In the long run, sentiment analysis, if implemented the right way can aid business enterprises in improving the overall consumer experience, enhance brand image and propel business growth. At Evoke, we enable businesses augment data science to solve day-to-day business problems and make informed decisions by applying data science. With more than a decade’s experience in software development and deployment, we provide IT solutions that decrease your company’s expenditures, while increasing your bottom line. And our highly trained, dedicated teams of IT engineers remain available to support you 24/7. Call Evoke today at +1 (937) 202-4161 (select Option 2 for Sales) or contact us online to learn more about how we can help your company take steps today toward greater digital maturity and profitability. 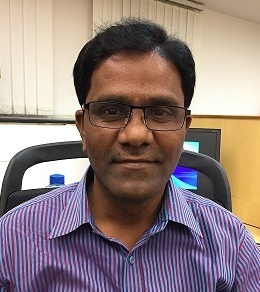 Veera Raghava Reddy was working as a lead data scientist at Evoke Technologies. He was part of the Data Science COE at Evoke. Raghava has more than 7 years of experience in the field of IT and Data Science with strong technical expertise in R, Python, SPSS, and Tableau. Rose from kerala…..Can you explain how can we interpret the pie chart.As its not showing 100%. in positive analysis : 31% of positive comments are for Delta…. is it 31% of positive text that we have downloaded??? —– And i have tried this tooo….but the total is not matching…. can you explain the logic behind it…. As i am stuck in my research part….can you reply it ASAP…..
Mr. Reddy…..can you reply to my doubt …..as its urgent for my project…..
Let’s take a look at the interpretation: In the comment data set of Delta Airline, 31% of user comments are positive, 21% comments are negative and 48% are neutral (you can refer to the other pie charts for details), giving us a sum of 100%. Whereas, in the “Positive Comparative Analysis” pie chart, 28.8% of the total comments are positive for Delta Airline. hi i am getting the wrong sentiment scores for example if the tweet has 1 positive and 1 negative word the score that is displayed is 2. I am working on “Tweet sentiment analysis for cellular network service providers using machine learning algorithms”. I had fetched 5000 tweets of each cellular service provider i.e. 5000 of Jio and 5000 of Airtel . Now i am not deciding what would be the next step. could you please tell me how to fetch the feature points from data I means how to identify the attributes which decide the overall sentiment score. if in case u want me to send the dataset i can send it to u.
Siddharth, it appears that instead of using a numeric variable in polarity, you are using text. Try using a numeric variable. thanks for the explanation. However, I still have a question. have u used Naïve Bayes (NB) for sentiment classification? And in step 2 – Calculate positive, negative and neutral sentiments. this should be <0 or it's okay?? I haven’t used Naive Bayes (NB) for sentiment classification. Yes, if calculated sentiment score is less than 0, considering negative sentiment. I wish to make a dataframe out of json files in a directory. json files are in thousands say 45k files. then I have to do sentiment analysis on them. my ultimate goal is to do sentiment analysis on those json files using r. any suggestions? All you need to do is register on twitter API, you will receive four keys as mentioned in the blog. Simply select @StockTwits twitter handle and apply the above algorithm to perform sentiment analysis. Could you please recheck if the below lines of code are included in your program and are executing, when the program is being run. Hopefully, this should resolve your issue. I did this analysis for a CSV file of a survey response comments. It has categorized 99% of the responses as neutral when they are clearly positive or negative. Is this because of the dictionary? Should I use some other dictionary of positive and negative words? It is quite likely that the comments include both positive and negative words, hence the algorithm is calculating a score based on the number of positive and negative words. It would be great if you could share one or two comments so that I can analyze. Incase this is a duplicate comment please ignore as i am unable to see the earlier one. Could you share your thoughts on how about segregating sentiment analysis from CSV file that use there columns, Department, Location and Comments. I am able to get the overall analysis using only the comments section. Is there a way this could be broken down by the department and location? I am doing some sentiment analysis from CSV file. I am able to get overall word cloud, and graphs for the comments. I have addtional two columns one is for department and the other location in the same file. How could i go about segregating it by either of these two. Utilize the Aggregate function in R by department and location wise. This should help you out. I tried the same. After creating my TDM , i created a dataframe “frequentKeywordDF”, and used the below code to get the data. arguments must have same length. I would suggest you to undertake some R&D to resolve the above issue, as I am not aware of the data/variables that you are using. There are quite a few solutions available on the Stack Overflow website. Additionally, you can also use another function ‘dplyr’ available in R.
Hopefully this should resolve the issue. From each row extract positive and negative words and compare with the dictionary of lexicon words and calculate the scores by utilizing sentiment algorithm. Please go through the above code, which will help you get better insights on the solution. api_key <- "yourconsumerkey" Where will i find the consumerkey?? api_secret <- "yourconsumersecret" where will i find consumersecret?? access_token <- "consumeraccess token" where will i find consumeraccess token?? You need to sign-up for twitter Search API to get the above keys. I may be wrong, but can you explain this in detail and how you will prove for sure that this statement is negative. Let see how good Computers are!!! We did the same without ‘R’ long time back (9 years back) for iPhone Launch with Apple Inc. and for many more corporates and were able to produce effective outputs as expected. The same procedures, but did them all using JAVA. Now we use R language, but does not make any difference. Please do you know of a way to install Sentiment Package of R 3.3.0? There is no direct sentiment package in R. We have to install a list of packages as mentioned in the blog post to work on Sentiment algorithm.